The State Bank of Viet Nam will not weaken the dong by more than 2 per cent this year to protect national interests, Deputy Governor Nguyen Thi Hong has said. Hong said this in an interview with the Vietnam News Agency last week after some experts recently suggested further devaluation of the domestic currency. 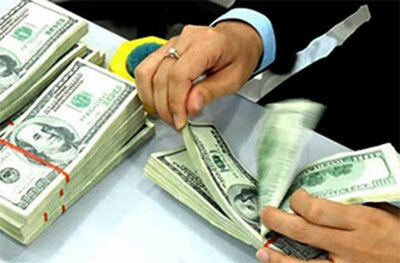 Notably, the SBV had raised the inter-bank exchange rate in May by 1 per cent for the second time this year, to VND21,673 per US dollar, leaving no room for adjustment later this year. ANZ Bank economists Eugenia Victorino and Glenn Maguire said in a research paper earlier this month that Viet Nam's economic recovery was broadening, and as a result its current account balance was sliding from a surplus into a deficit. Imports should rise to aid investment growth and expand production capacity, they said, noting that the trade deficit had widened to US$3.8 billion as imports surged 17.1 per cent year-on-year throughout H1 2015 – almost twice as fast as the growth of exports. Forecasting that the country will post a current account deficit of 0.5 per cent of gross domestic product (GDP) this year and 1 per cent of GDP next year, the economists recommended that the central bank devalue the dong further to adapt to the situation and ensure reasonable macroeconomic balances. 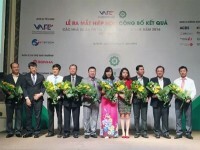 VnEconomy online has cited a Vietcombank Securities report as saying that a variety of global developments, including the strengthening of the dollar because of the US economy signalling recovery and the possibility of the Federal Reserve (Fed) lifting interest rates this year, were putting significant pressure on the dong's exchange rate and the forex market. The brokerage said this pressure was likely to persist during the rest of the year, following the dollar's moves, although it might ease with overseas remittances expected to grow 10 per cent year-on-year to reach $13 billion to $14 billion in 2015. The firm expects the dong to be devalued by another 1 per cent this year, with the next adjustment largely dependent on when the Fed increases its interest rates. However, Hong affirmed that the 2 per cent devaluation limit would be maintained for the sake of efficiency in foreign trade, saying that many exporters were dependent on imported raw materials. In the last few years, imports accounted for roughly 82 per cent of the raw materials for the garment and textile sector, 70 per cent of the raw materials for the timber industry, and 50 to 60 per cent of the raw materials for the footwear industry. While total imports were equivalent to 80 per cent of Viet Nam's GDP, about 90 per cent of the imports consisted of machinery and equipment and materials for production, with the rest comprising consumer goods. Any depreciation of the dong might help Vietnamese exports become more competitive in terms of prices, but the gains would be insignificant because many domestic products are of a quality that is insufficient to sustain in the global market, Hong added. The SBV would continue to closely monitor market developments to frame proper policies, which are needed to secure companies' business plans, she said. Interest rates have fallen to "ideal levels" witnessed 10 years ago, following government measures aimed at monetary stability, Hong said. Lending rates have been slashed by 0.2-0.3 percentage points this year, and have reached 6-9 per cent for short-term loans and 9-11 per cent for medium to long-term loans. Deposit rates have also decreased by 0.2-0.5 percentage points, mainly for deposits with terms longer than six months. These rates are suitable for the growth of the country's GDP, which rose marginally, by 6.3 per cent year-on-year, as of the second quarter, she said. The rates are also in line with the expectations of national think tanks, who anticipate inflation rates of 3-3.5 per cent for 2015, she added. The central bank would closely monitor the financial situation of commercial banks and flexibly adjust money flows to meet market demand, she said.